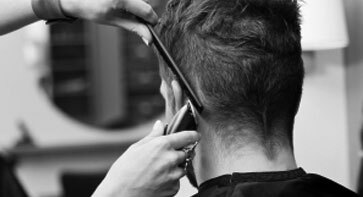 Specializing in creative design color and foiling, highlift and mult-dimensional blondes, classic to high fashion cuts and styles for men and women, precision point cutting, and Keratin treatments. Danielle's forte as a stylist is her natural /creative foiling & color, Up-do`s and formal styling, Short and long hair design. Certified Labrazillia Keratin treatments. Expertise in corrective and seasonal color changes, double process blondes, high fashion and creative effects in foiling and color design, the latest fashion cuts and styling, certified Labrazilliana Keratin treatments. Our master receptionist, salon organizer, and appointment maker extrodinair. Specializes in highlighting, multi-dimensional foiling, Balayage/ombré,single process coloring,precision bob haircuts,formal up-do’s, blow-outs, and the latest cut and color design. Sarah loves to specialize in creative color & highlighting techniques (including multi-dimensional foiling, balayage hairpainting, double-process fashion colors), formal styles and updo's, and classic to on-trend (such as carving designs) haircuts for women, men, and children. Kayley is our braiding master. All types of design — French, Dutch, 4 Strand, Cornrows, and Waterfall Braids. Prom, Sweet-Sixteen and Wedding event formal styling. Single process color, foiling, and Balayage. Haircuts for long hair. All of our SNIPS Stylists take continued color/cutting/styling advanced education classes. Our receptionist, Paula, can assist all new clients on deciding which stylist would best suit your hair and time schedule needs.